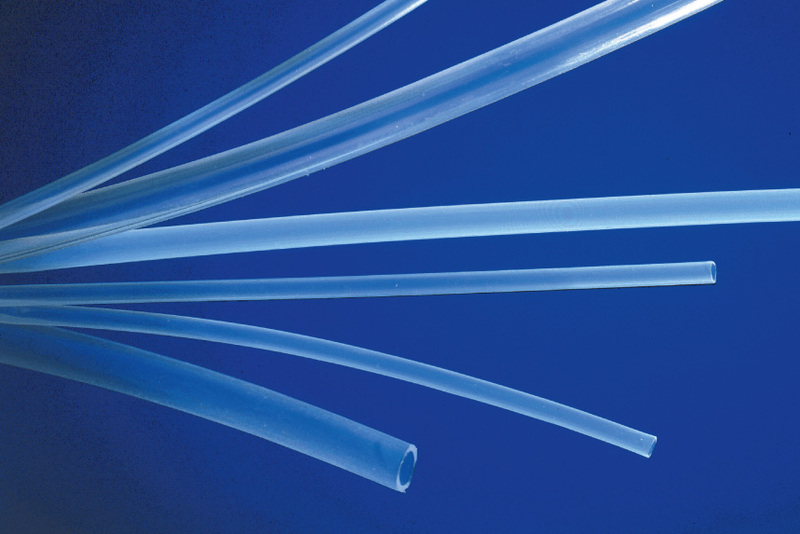 FEP PFA and PVDF are melt processable fluoropolymer resins from which UNIGASKET extrudes fluoroplasting tubing in various sizes (see data sheet). The products made with these fluoropolymers resins meet a wide range end user requirements. They have high acknowledgment for their unique properties and versatility wich are helping to solve many industry’s materials problem in chemical industry in the production of semiconductive items and coating. The trasparence of FEP and PFA tubings makes them the righ choice for UV sterilisation processes and for aggressive material level system. Thanks to a special production extruders we can obtain thermoprocessable coils of tubes with longer continuos length compeared with PTFE; also the tollerances can be improved compared with the paste extruded PTFE. We can be supply fluoroplastic tubing in coils, drums or already cut and shaped.